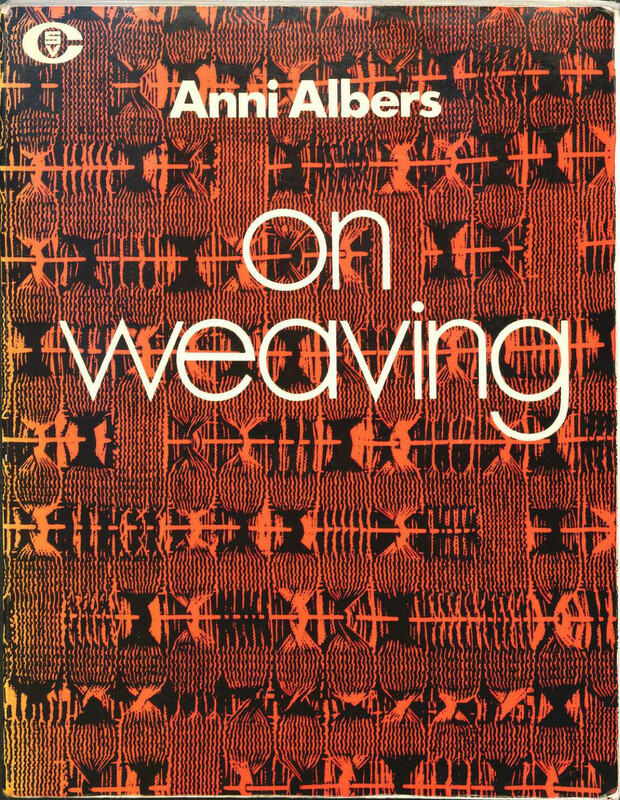 “In this book, Anni Albers develops the thoughts on the history and design of weaving which she put forward in her collection of essays On Designing, published in 1959. Although On Weaving is not meant to be a technical reference book, it conveys a fundamental understanding and appreciation of the craft, both to the textile expert and to the interested layman, and is written in uncomplicated language, illustrated with clear diagrams. This methodically intellectual approach has been applied in the composition and writing of this book and has enabled the author with her expert knowledge to condense into a small space the very quintessence of designing woven fabrics and the many facets and intricacies of this craft. But at the same time Anni Albers is able to excite and inspire the reader’s imagination and unravel the romantic story of weaving. Review: Irene Emery (American Anthropologist, 1968).